Oulton BSB test: Brookes leads by a second at lunch BSNBrookes is a country mile ahead of the BSB pack after two sessions at the Oulton BSB test. 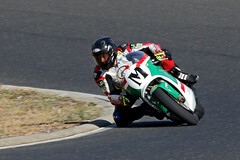 Stile Italiano pay tribute to tuning house NCR's last founder Motorcycle NewsStile Italiano have built a stunning custom Ducati MHR1000 as a tribute to Rino Caracchi – the final member of tuning house NCR who passed away last year. 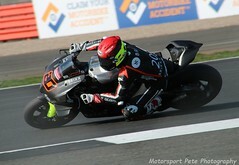 Oulton BSB test: Thursday session times and results BSNTimes and results from Thursday's BSB, Superstock, Supersport and GP2 sessions at the Oulton Park test. Bautista makes Imola, wet weather debut crash.netAlvaro Bautista believes “the most important thing” from his debut day at Imola has been getting to grips with his first experience of wet weather. Ducati India To Launch 2019 Scrambler Range Tomorrow ZigWheels.comThe Icon, Cafe Racer and Desert Sled will be launched first, followed by the Full Throttle later this year. 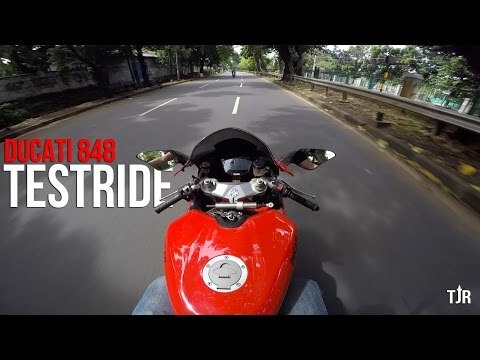 2019 Ducati Monster 821 - Bike Reviews MotoPinas.comWe test ride the middle child of Ducati's Monster range, the 821. Marc Marquez: MotoGP superstar denies suggestion from Ducati heavyweight - Daily Star Daily StarMARC MARQUEZ insists he wasn't pushing too hard before his crash in Austin. Motocorsa Ducati Panigale V4 Nicky Hayden Tribute iMotorbike NewsMotocorsa, one of the biggest Ducati dealerships in America created a unique Panigale V4 Nicky Hayden Tribute that will be auctioned on eBay. World Superbike: Aruba.it Racing Ducati Tests At Imola RoadracingWorld.comWorld Superbike: Aruba.it Racing Ducati Tests At Imola. 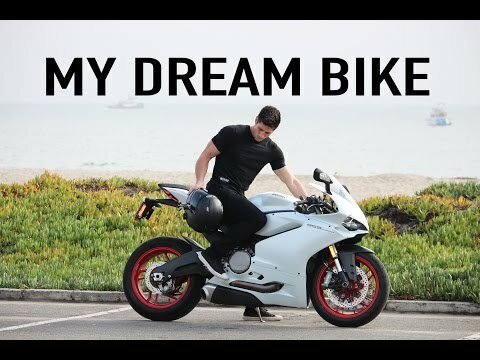 2019 Ducati Diavel 1260 S in Spain: The Devil You Know…and Love UltimateMotorcycling.comDavid Morris travels to Marbella, Spain for an unorthodox experience with the 2019 Ducati Diavel 1260 S, and interviews DNA CEO Jason Chinnock. Kawasaki Planning “Extreme” ZX-10RR For WorldSBK 2020 Cycle NewsKawasaki, Jonathan Rea and their Ninja ZX-10RR are getting serious for WorldSBK 2020 by planning their own "MotoGP-like bike". MotoGP news: Ducati bigwig refuses to back Andrea Dovizioso and makes Marc Marquez claim - Daily Star Daily StarMARC MARQUEZ remains the favourite to retain his title, says Ducati chief executive Claudio Domenicali. 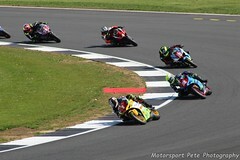 NG champ Day bags Ducati Cup win at Silverstone UK ClubsportREIGNING NG Road Racing champion Josh Day has announced his return to the BSB paddock in style with a Ducati TriOptions Cup win over Rob Guiver. Silverstone BSB: Day and Guiver split Ducati Cup wins BSNJosh Day and Rob Guiver shared the Ducati TriOptions Cup spoils this weekend as the two stamped their authority on the class. 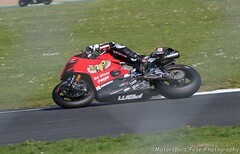 Brookes pips Elliot to top time in Silverstone FP1 crash.netBe Wiser Ducati's Josh Brookes tops the timesheets in first free practice for the opening round of the 2019 Bennetts British Superbike Championship at. Test ride a Yamaha, Kawasaki or Ducati at Silverstone this weekend Motorcycle NewsAfter a winter hiatus, the British Superbike Championship will be returning this weekend for the first round of the season at Silverstone's National layout. Brookes impressed by promising Be Wiser Ducati adaptation crash.netJosh Brookes says he's optimistic for the 2019 BSB opener after getting to grips with the new Ducati V4 R.
New Improved And Funkier Ducati Scrambler Range Incoming! ZigWheels.comThe new Scramblers gets minor design updates, new features and cornering ABS! Redding: BSB opener needs more balls than skill crash.netScott Redding says his BSB debut will require “more balls than skill at times” on the Silverstone national circuit layout. 'Factory MotoGP seat' is main goal for Ducati's Miller BSNMiller's target is to replace Danilo Petrucci in the works Ducati MotoGP team for 2020. Andrea Dovizioso blames tyre choice as Ducati faces Austin MotoGP Q1 autosport.comDucati rider Andrea Dovizioso says a wrong tyre choice caused his poor Friday at Austin, which has left him facing Q1 at MotoGP's Grand Prix of the Americas. Shakey Byrne: There's no clear title favourite... but pressure is on Ducati Eurosport.co.ukShane 'Shakey' Byrne, the six-time British Superbikes champion, believes there is no clear favourite to win the title this year. Bautista’s “target same as always” despite Ducati rev drop crash.netAlvaro Bautista won't change his aims at Assen while gearing up for a maximum rev limit hit from World Superbike organisers. Ducati handed 250rpm WorldSBK success penalty BSNAruba Ducati have been penalised for their runaway WorldSBK success with a drop of 250rpm on the Panigale V4R's rev limit at this weekend's Assen round. MotoAmerica, Wyman in the gravel with his Ducati, Elias gives him a lift GPone EnglishMotoAmerica: VIDEO - The rider was unable to finish the Road Atlanta race on his Panigale V4 R and Toni gave him a ride on his Suzuki. Ducati's Petrucci must manage MotoGP races better for podiums autosport.comFactory Ducati MotoGP rider Danilo Petrucci says he must learn to manage races better if he is to establish himself as a regular podium threat. Stolen Ducati recovered in Bradford West Bradford Telegraph and ArgusA STOLEN Ducati motorcycle has been recovered by police. MCN Fleet: Life's a breeze on the Ducati Scrambler Cafe Racer Motorcycle NewsRead MCN's 2019 long-term Ducati Scrambler Cafe Racer test here. Podcast: Episode 27 Of Greg's Garage Pod With Co-Host Jason Pridmore Is Now Available RoadracingWorld.comPodcast: Episode 27 Of Greg's Garage Pod With Co-Host Jason Pridmore Is Now Available. APRILIA TUONO V4 1100 FACTORY (2019-on) Review Motorcycle NewsRead MCN's expert review of the 2019-on Aprilia Tuono V4 1100 Factory here. 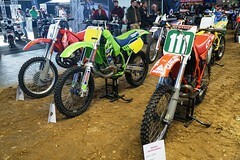 Find yours with MCN Bikes For Sale. A Precise Feminine Touch: The Women of Ducati's Bologna Factory Motorcycle.comChances are, the beating heart of your Ducati and, for that matter, every other desmo you've seen out on the road, was assembled, at least in part, by women. Bridgestone S22 Review | 10 Fast Facts from Jerez Test UltimateMotorcycling.comThe advancements of the new Bridgestone Battlax Hypersport S22 over the S21 are immediately noticeable - safety and rider confidence soar...and quickly! 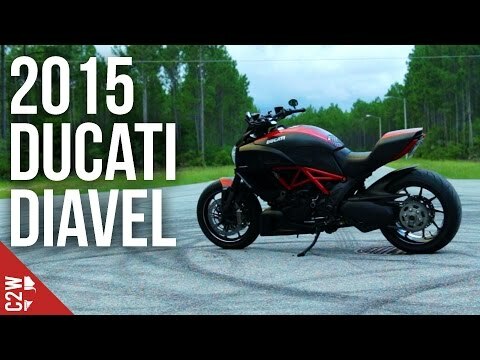 REVIEW: 2019 Ducati Diavel 1260S - your perfect everyday bike? 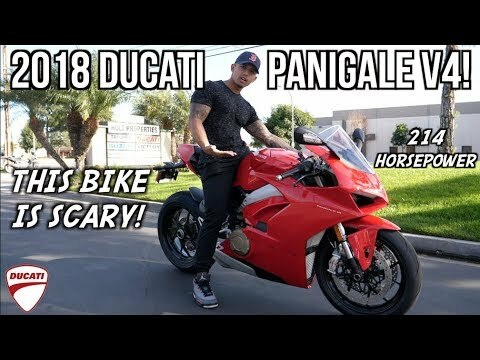 Paul Tan's Automotive NewsOver the last decade or so, Ducati, purveyor of fine performance motorcycles that are high strung like a thoroughbred racehorse, has not been afraid to. Ducati Scrambler 1100 Sport Review News18The Ducati Scrambler series of motorcycles has been really important for Ducati as this series has garnered good sales from almost all corners of the world. 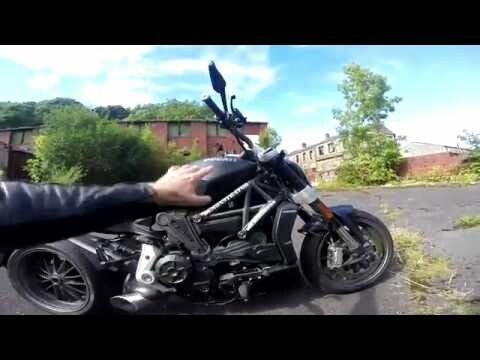 Astonishing: Ducati Diavel 1260 launch review Mirror OnlineGeoff takes a first ride on the new Italian cruiser and finds it's even more impressive than the previous model. 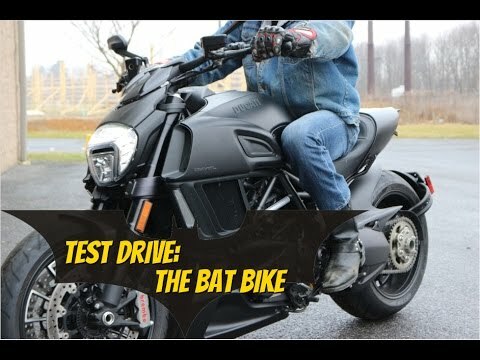 Ducati Diavel 1260S long-term test review Motorcycle NewsRead MCN's expert long-term test review of the 2019 Ducati Diavel 1260S here. 2019 Ducati Multistrada 950 S Review – First Ride Motorcycle.comThe 2019 Ducati Multistrada 950 S is the capable and versatile Goldilocks of the street-focused Multistrada family. Motorcycle.com has it all here. MotoGP Stewards reject protests on Ducati aero - Updated Visordown.comThe FIM MotoGP Stewards reject protests over Ducati's new aerodynamic device on the rear swingarm with the matter going to the MotoGP Court of Appeals - Vi. Ducati Multistrada 1260 Enduro review 2019 Adventure Bike RiderThe Ducati Multistrada 1260 Enduro has been totally redesigned to make it more user friendly. But has the company succeeded? 2019 Ducati Multistrada 950 S Review (22 Fast Facts) UltimateMotorcycling.com2019 Ducati Multistrada 950 S Review: We travel to Valencia, Spain to test the latest motorcycle in Ducati's ADV/Adventure Touring lineup. DUCATI MULTISTRADA 950S (2019-on) Review Motorcycle NewsRead MCN's full, expert bike review of the 2019 Ducati Multistrada 950 S for spec, power, performance, engine and more. 2019 Ducati Hypermotard 950 and 950SP Review Cycle NewsWe spent a full day in Italy test riding the 2019 Ducati Hypermotard 950 for this review. 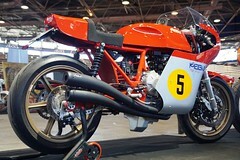 We also have a first impression of the 950SP version. 2019 Ducati Hypermotard 950/SP Cycle World DailySince its first public showing 15 years ago, the Ducati Hypermotard has been an outlier in the motorcycle world: part sportbike, part supermoto, and all fun. Ducati Hypermotard 950/SP: First Ride Review Zigwheels.comDucati's most thrilling bike just got more focussed. But does that make it more unapproachable than before? 2019 Ducati Hypermotard 950 And Hypermotard 950 SP First Ride Cycle World DailyRefined for 2019, Ducati's Hypermotard 950 is still a hooligan. *Cycle World* puts it to the test on the track and street in this first ride review. Bike of the day: Ducati Hypermotard Motorcycle NewsFind out why MCN chose the B-road scratching, traffic-slaying supermoto - Ducati Hypermotard 796 as bike of the day here. 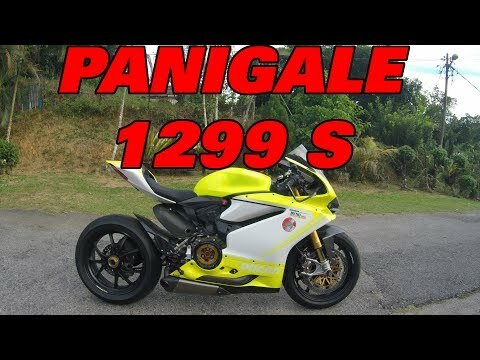 Italian design house create Ducati Panigale V4 streetfighter Motorcycle NewsOfficine GP Design have created a limited-run Ducati Panigale V4 streetfighter costing £87000. Read more here. 2019 Ducati Hypermotard 950 & 950 SP Review (26 Fast Facts) UltimateMotorcycling.comFor Ducati Hypermotard fans, the third-gen 950 delivers hooligan fun and is now much more capable in all riding situations. Here's our review. Ducati Posts Strong 2018 Sales Numbers, Especially in Superbike Segment webBikeWorldDucati reports strong sales numbers for 2018, thanks to the Panigale in the superbike segment and the Multistrada family of bikes. 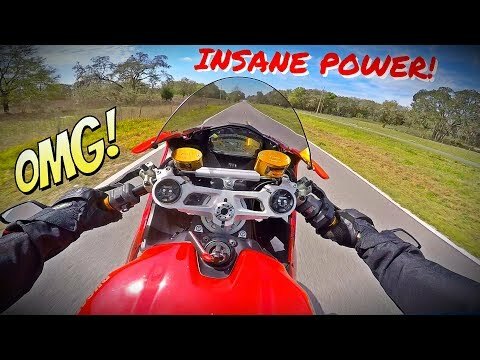 My first time EVER on a Ducati and it was a blast! 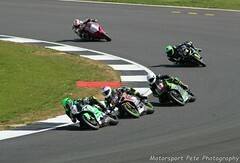 I've always wanted to ride one just to see how they handle and perform, I was very pleased! great bike! It's another new-bike ride with Zack! This time he flew off to Valencia, Spain to take a spin on the production-ready version of Ducati's new Panigale V4. 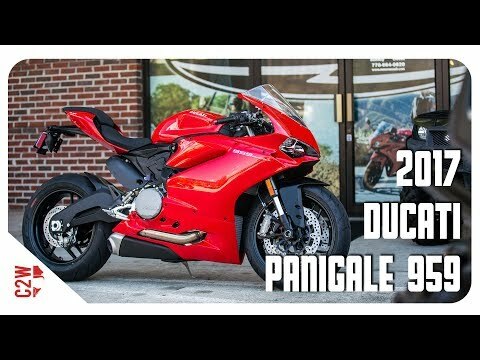 2016 Ducati 959 Panigale Test Ride - Worth The Money?